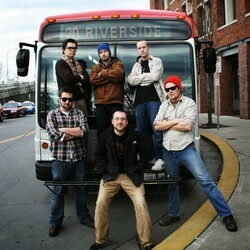 20 Riverside is a six-piece funk/hip-hop group from the greater Seattle area. Their music blends the classic rock and brassy horns of Chicago, the funky grooves of Tower of Power, and the hip-hop rhythms and socially conscious lyrics of The Roots. They met playing in high school jazz band together and years later, combined their disparate influences into a unique, infectious sound that is 20 Riverside. A couple things came to mind while watching their video for "Sing Your Song", looking over their Reverbnation page (linked above), and looking at their pictures. First, and foremost, I like the music. A dope blend of funk, and jazz music with a dash of hip-hop and rock. If you read my write up on the Theoretics, then you already know that I dig this type/style of music. Even more telling is that as I write this, and their album Good Medicine plays through the speakers, my co-worker is sitting here tapping her foot and asks "Who is this?". Looks like I may have landed them another new fan! Second thought, and this is purely random, is that these dudes look like they would be some fun guys to kick it with, check out the video and you'll see what I'm sayin...hilarity ensues. Ladies and gentlemen, this is not a review. This is a feel-good alert. We thought we’d warn you. You know, just in case today is the day you need to deliver that tearful Oscar-winning performance in a dramatic movie (Hey, Meryl Streep could totally be reading this. Weekly Podcast is international, after all). If being in a bad mood is on your agenda today for any reason at all, you had best skip Sing Your Song. If you choose to listen to this tune, however, that’s tantamount to waving any starts of a sulk goodbye in favor of sporting a (quite possibly daft) grin. Meryl and the general public should also take note that this feel-good alert is accompanied by a very real danger of uncontrollable, rhythmic neck movement. Whatever your musical inclinations, chances are, Sing Your Song will cater to them in some fundamentally satisfying way. 20 Riverside’s sound incorporates so much, yet does it so smoothly and successfully that it seems almost a lack of respect to try and pick this song apart and pinpoint this and that passage specifically. It is just not done to stop and analyze when in the throes of this much fun. We’re sure providing such musical enjoyment actually involves massive amounts of dedication, no matter how ultimately easy and breezy the end result. However, the positive energy generated by Sing Your Song comes to us first and foremost via the band members’ own enjoyment of their art, we feel. The way a succession of solos sees each finding his groove perfectly while complementing the others highlights the band’s rare chemistry. Seeing these guys live is now on our to-do list. If there is a music that can be described as “Everett soul” it is 20 Riverside, a group of six promising young musicians from Everett who got together and named their band after the local bus line that connected their hoods. 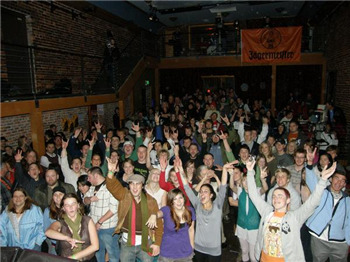 In late 2008 while still a newbie on the club circuit, 20 Riverside won the battle of the bands contest at Cafe Venus and the marsBar in Seattle and soon garnered a following. Local music fans can catch this up-and-coming band at Flights Pub in south Everett on Saturday, January 30. So what does 20 Riverside’s brand of soul sound like? Lead singer and MC Aron Glidden’s mad-skilled hip-hop delivery is backed by the band’s tasteful blend of old-school soul, jazz, rock and reggae. David Luxmore’s trombone and James D. Orr’s saxophone gives the horn arrangements a ska flava. Eli Davidson lays down funky drums. Keyboardist Ian Plagmann’s jazz chords stick a hip dissonance into the mix. And like all good lead guitarists, Dustin Haggerty can rock out when the band needs a kick. 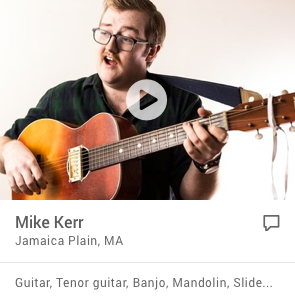 To make things interesting, many of these guys are multi-instrumentalists. They’ve packed large venues like the Columbia City Theatre in Seattle with their growing following. And how did their following start? “All friends of friends came together into one huge group of genuinely cool people,” commented Haggerty the guitarist. The members of 20 Riverside are Everett High grads and several met in Gary Evans’ jazz band at school. Evans is now retired after teaching music for decades at EHS. 20 Riverside’s musical influences are not just the giants of jazz, the originators of hip-hop, and the roots of rock, but their high school band teacher. “Gary Evans has been influential. I think the big part of it was he taught the intuitive side of playing. He nurtured creativity. He was very supportive,” commented Plagmann the keyboardist. Aron Glidden is the main lyricist for 20 Riverside and sees his hometown as an inspiration. 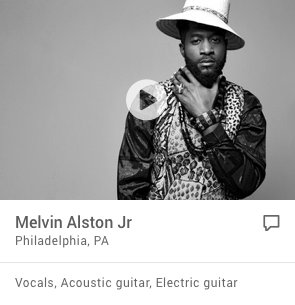 The songs on myspace are a collection of home studio recordings and rough live recordings with crowd noise. But like listening to an old Bob Marley recording from a Jamaican studio in 1968, the listener can hear the soul cutting through the lo-fi production. 20 Riverside has booked studio time in Seattle in February to cut some studio quality tracks. Saturday, January 30 at 9 p.m.
20 Riverside opened up the day’s festivities on Saturday morning, and after having been up until the wee hours of morning following all the excitement of Friday, I didn’t expect to roll out of my tent in time to catch these guys’ set. But the beats were just too enticing and tugged me right out of my mummy bag. Feeling semi-delirious from merely five hours of rest, I perked right up by the sound coming from the Garden Stage and hurried myself down to catch the back half of the set. This six piece group out of Everett, WA is fairly new on the scene but is no doubt, one talented group of musicians. They mix hip-hop, ska, funk and jazz. The musicianship displayed was quite impressive for a rookie band; many of them played multiple instruments during the set. The guy on keys also played trumpet, the bass player also played trombone and the front man, Aron Glidden, played guitar then switched to the drum kit towards the end of the set. They’re a talented and high energy bunch of guys and it’s great to see them start to break into the Seattle local music scene. The tunes delivered were hip swaying and funky—the perfect opener for Saturday, the biggest and funkiest day! 20 Riverside blends the classic rock and brassy horns of Chicago and the funky grooves of Tower of Power and adds to it the hip-hop rhythms and social commentary of the Roots. The six multi-instrumentalist members started playing together in high school and today are one of the most active funk and hip-hop groups in the Pacific Northwest. This band proves that rap-rock doesnt have to be an epithet. Their music is about community, hope, love, struggle, celebration and staying true to yourself without compromise. Influences include James Brown, Chicago, the Roots, Earth, Wind, & Fire, Marvin Gaye and Tower of Power. Formed in Everett, Washington in the Spring of 2008. Founding members Aron Glidden, Dustin Haggerty and Dave Luxmore met while riding Everett Transit's 20 Riverside bus route that ran past each of their houses. They became fast friends and formed what is now 20 Riverside. Aron, Dustin and Dave began jamming and recording in a basement for years, then later moving to Aron's Mother's garage in the spring and summer of 2008. At this time they recruited keyboard/trumpet player Ian Plagmann, a friend of Aron and Dave's from Everett High School Jazz Band. Ian's elegant touch on keyboards and piano helped add depth to the music and his horn playing helped fill out the horn section. Soon after, Aron recruited childhood friend and music collaborator Eli Davidson to join the band and take over on drums and backing vocals. In the fall of 2008 Long time friend of Ian's and fellow Everett High Jazz alum, James Orr started sitting in on some jam sessions and made guest appearances at several live shows on saxophone. 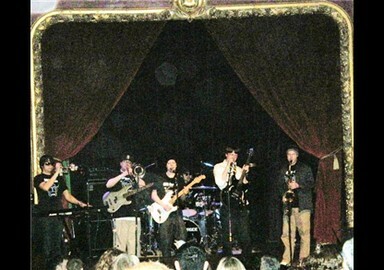 In January 2009 James joined the band as its sixth member and the final line-up became Aron Glidden - rhythm guitar and lead vocals, Dustin Haggerty - lead MC and lead guitar, Dave Luxmore - bass, trombone, and MC, Eli Davidson - drums and backup vocals, James Orr - saxophone and woodwinds, and Ian Plagmann - keyboards and trumpet. Remember they used to teach us to stand up for our beliefs? And nobody can save you so who are you callin'? whats your excuse to ride with me? Let me hear you say - What's that sound? What happened to takin' a stand?